Improved notes for more accurate and detailed customer records. Taking notes when speaking to a customer on the phone is hard to do, especially while taking an active part in the conversation. 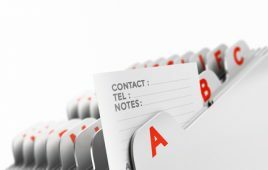 Knowing that a call is being recorded can take the pressure of, as the call can be listened back to and all relevant notes recorded in the customer file. For the customer, it means they can call back and whoever they speak to will have a full record of what happened last time, meaning they dont have to go through it all again. Better listening! As previously mentioned, its difficult to actively listen and engage in a conversation when youre trying to take notes at the same time. Using call recording to take notes after the call can free up your customer service staff to properly listen to customers and understand their needs, as well as engaging in conversation and perhaps even adding a little warmth and humour to the conversation. Everyone wants to be listened to, so make sure your team are doing it properly. Quick clearing up of disputes and complaints. If a customer alleges that your company promised something or an agent was unclear or misleading on the phone, your records can help clear up the problem right away. With facts and evidence on your side, you know exactly what went on and can make an informed choice about how to deal with the situation, whether giving in to the customer demands or politely and calmly explaining their mistake. This prevents the agent from having to rely on memory alone, which can end up with he said, she said allegations passing between customer and agent, which will inevitably anger the customer. Getting to know your customers better. The hours of recorded calls your business retains can help your staff to better understand their customers, to sympathise with their pain points and help to solve their problems. The recordings can be used to build up a picture of different customer personas who use your business, so that you can tailor your service to suit their needs. Improving communications over time. If you listen back to recorded calls from a few years ago and compare them to last weeks calls, you should be able to identify a clear change over time. If there is no improvement, perhaps change needs to be implemented. If there is an evident drop in the level of customer service, you can take action now to improve service before standards slip any further. Training staff to exceptional standards. Customer service reputation is one of the things that can make or break a company. Certain brands are known for excellent customer service, and this becomes a key selling point for the business. If you want to become one of them, utilise the fantastic training tool that is your customer call records. New staff can listen to real-life examples of excellent, and not so excellent, interactions with customers, learn how to deal with difficult situations and pick up tips on a good telephone manner to adopt. Monitoring and quality control. No supervisor can listen to several calls at once, so recordings become essential in helping managers to monitor standards and carry out quality control checks. A supervisor can listen to one call live, then check in with another agent once that call has finished. If theres anything a manager spots as an issue during a live call, they can draw the agents attention to it during a training session using the recording of the call. Capturing missed information. Its easy to miss, misunderstand or mishear a vital piece of information provided by a customer during a call. Their phone signal may make it difficult to understand something, or there may be a loud noise in the office which obscures part of a sentence. These gaps can lead to an incomplete record of the call in the customer file, but not if you can listen back a few times to get the information you need. This saves you from having to call customers back for the information, or completely misunderstanding the customers request. Updating procedures. Taking a listen through a back catalogue of recorded customer calls can flag up certain issues with your existing systems and procedures. If there is a problem that regularly occurs, such as customers being put through to the wrong person due to confusion in the pre-recorded call menu for example, then your call records can help you spot it and fix it. This will save customers from experiencing the same problems in the future. The more proactive you are and the more problems you eliminate before they happen, the fewer complaints youll have to deal with and the better your reputation for exceptional customer service. Complying with regulations. Your teams calls with customers may need to adhere to certain regulatory standards  for example, if your business works within the financial services industry. If this is the case, you may be legally required to record and keep customer calls. 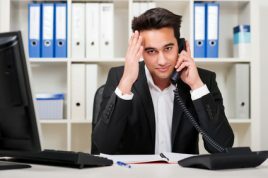 From your customers perspective, knowing that you are adhering to your legal responsibilities can provide them with great peace of mind that you are a company they can trust, and that there is evidence of the call and any information, transactions, deals, contracts or agreements discussed over the phones just in case they ever need to raise a dispute.